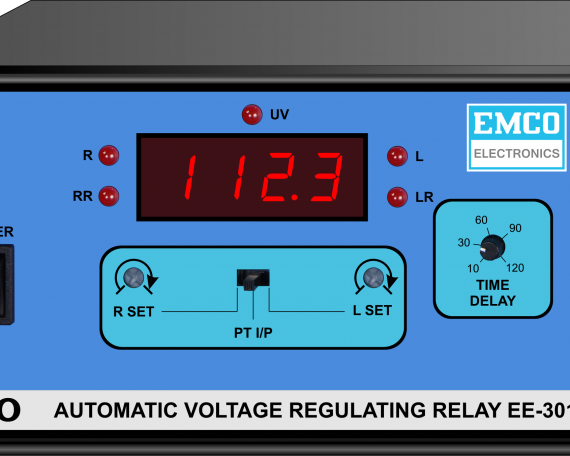 Advanced Microcontroller AVR Emco Electronics’ Automatic Voltage Regulating Relay type EE-302 is a modular Microcontroller based relay used for regulating the secondary voltage of Power Transformers used with On-Load Tap Changer. 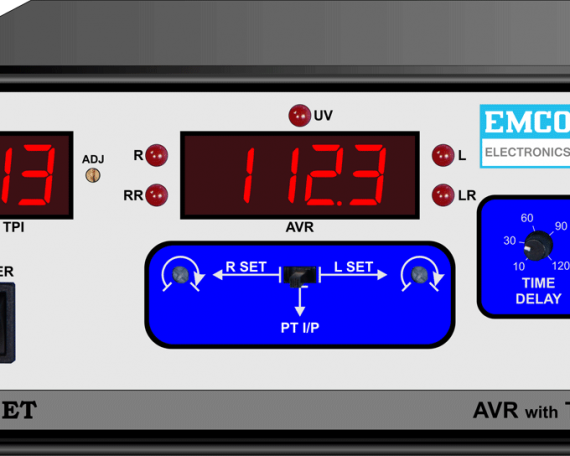 The parameter settings are made through the front panel keyboard. 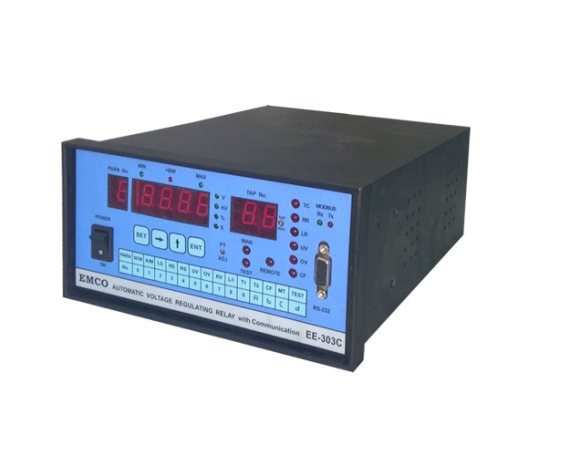 Independent Time Delay settings for first control pulse and subsequent pulses, allows selection of continuous or pulse operation. 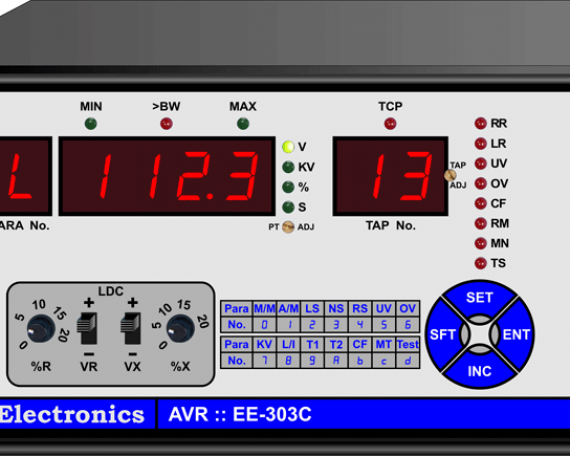 Voltage can be displayed in volts, KV or % deviation. 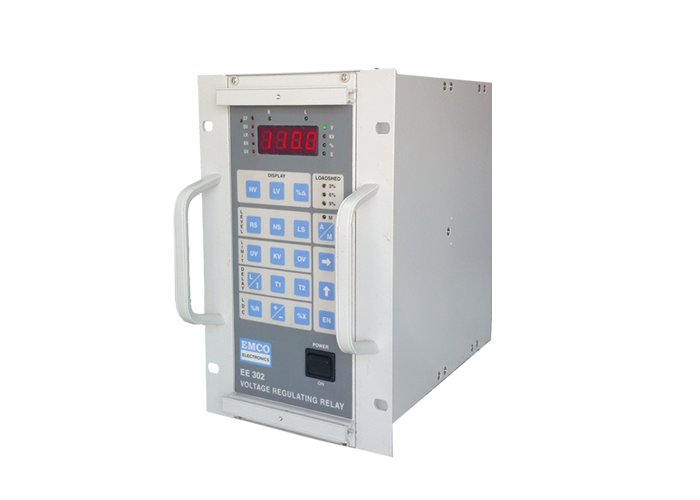 Load shedding switch connections are provided on the rear panel for reducing the Nominal Value by 3, 6 or 9%.